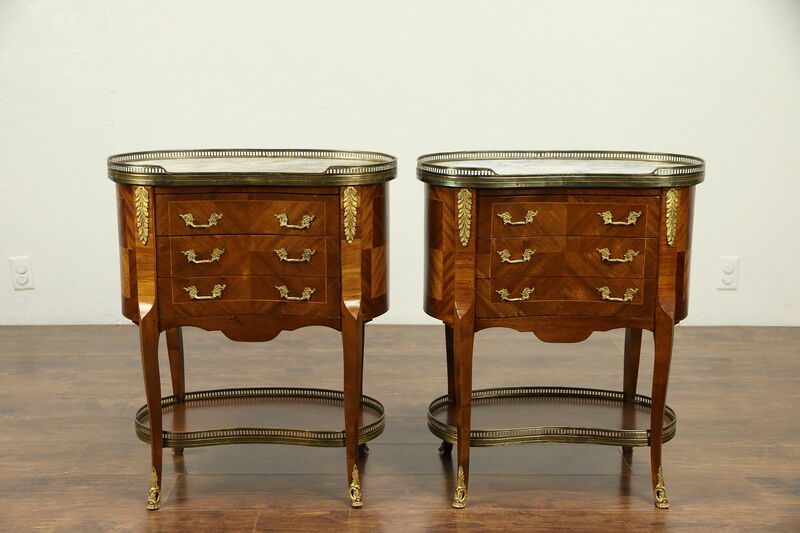 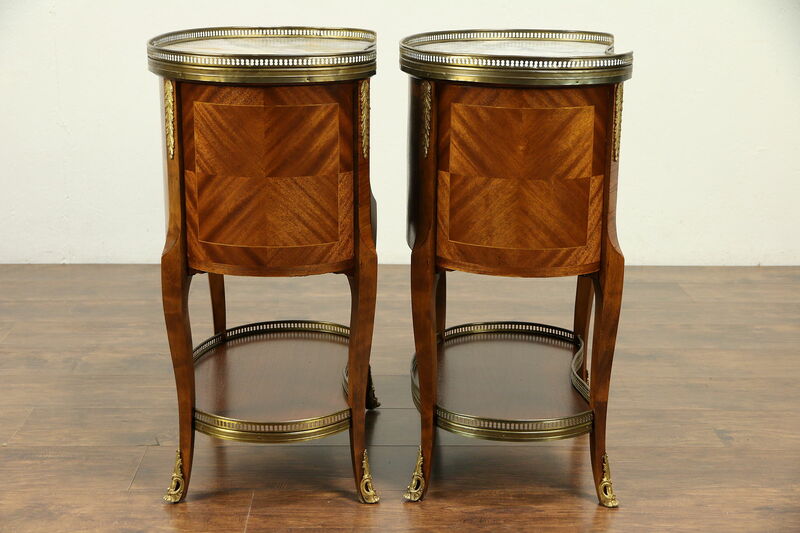 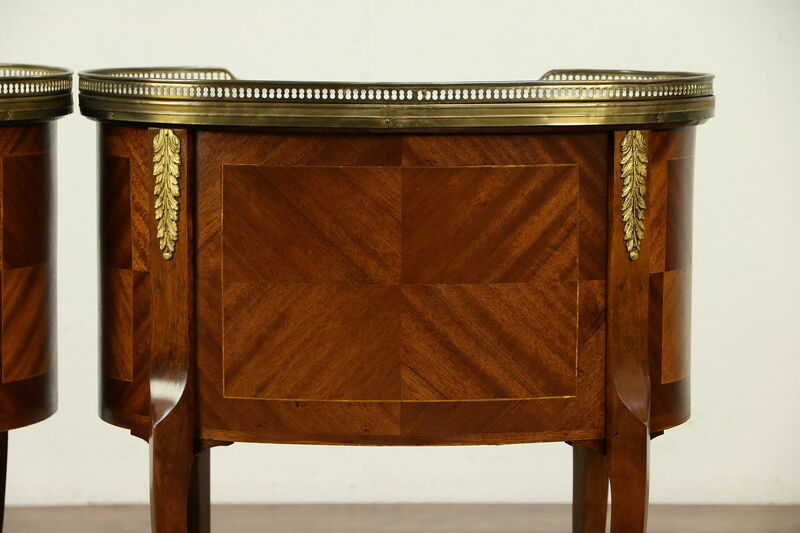 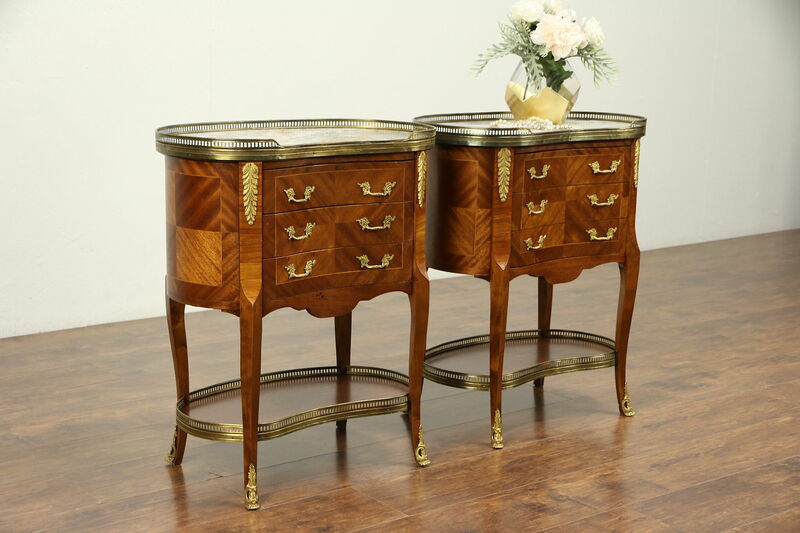 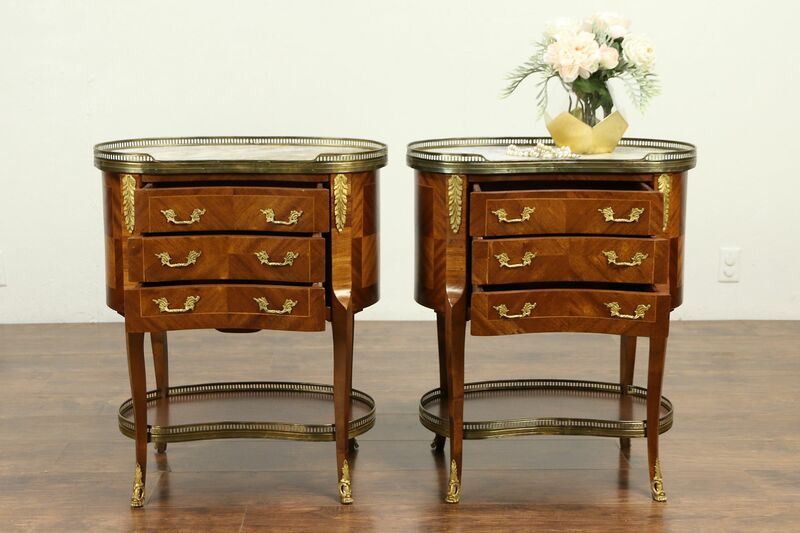 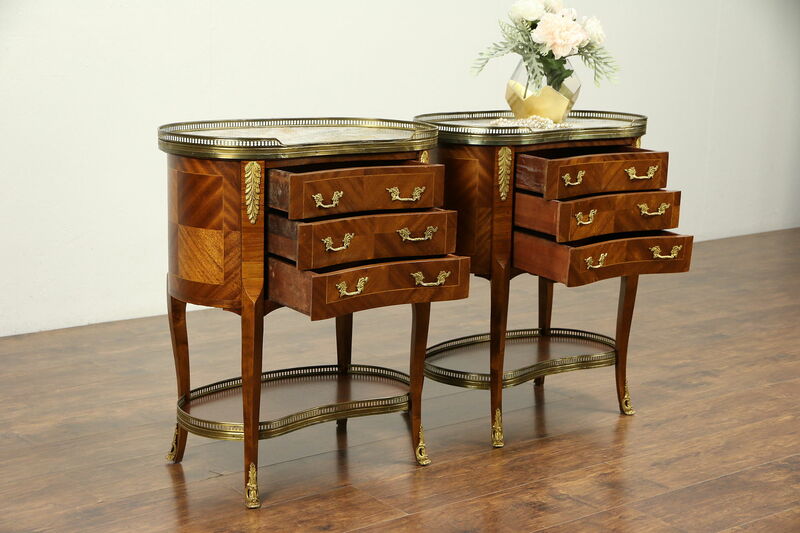 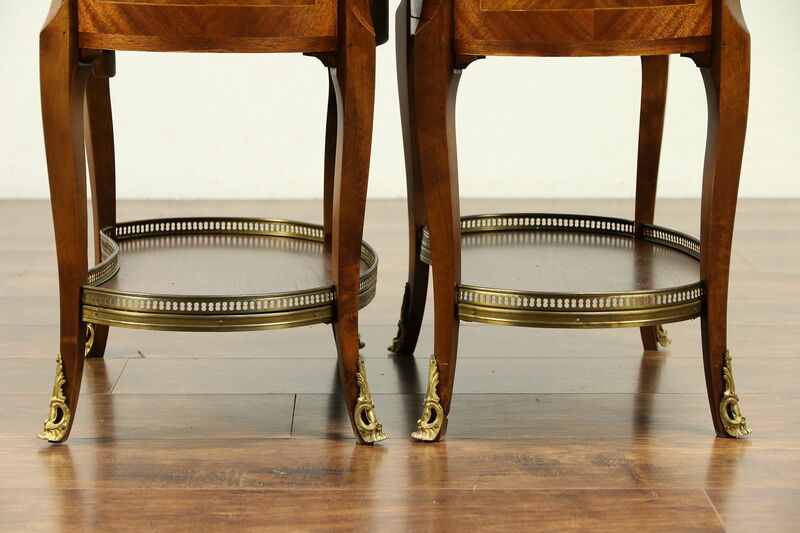 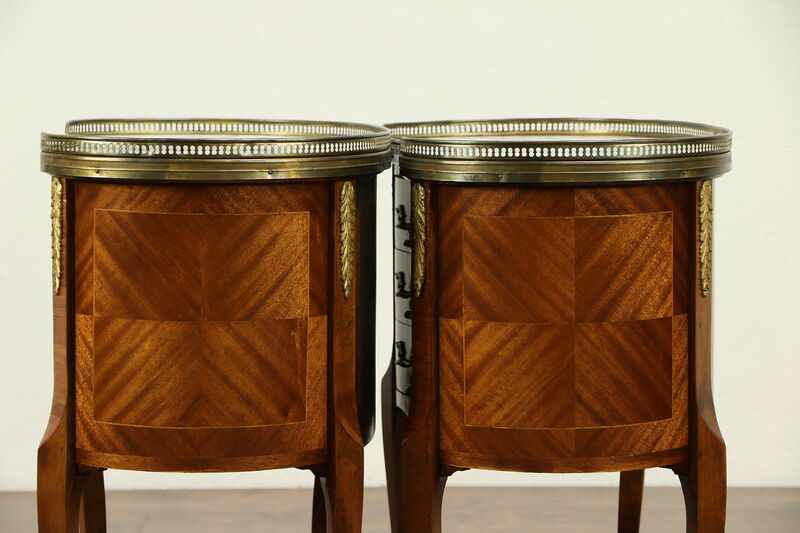 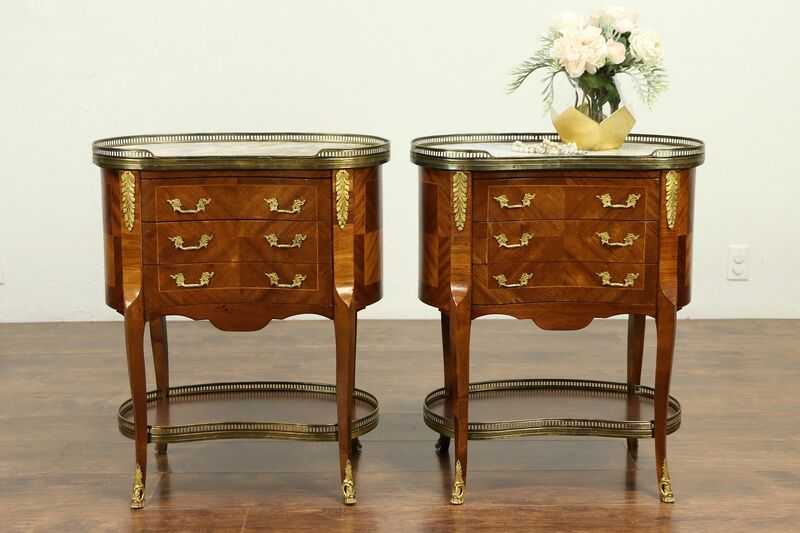 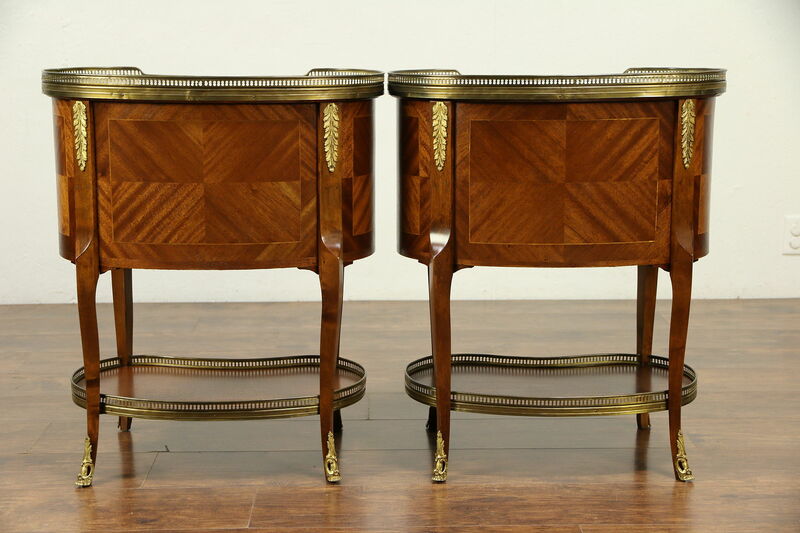 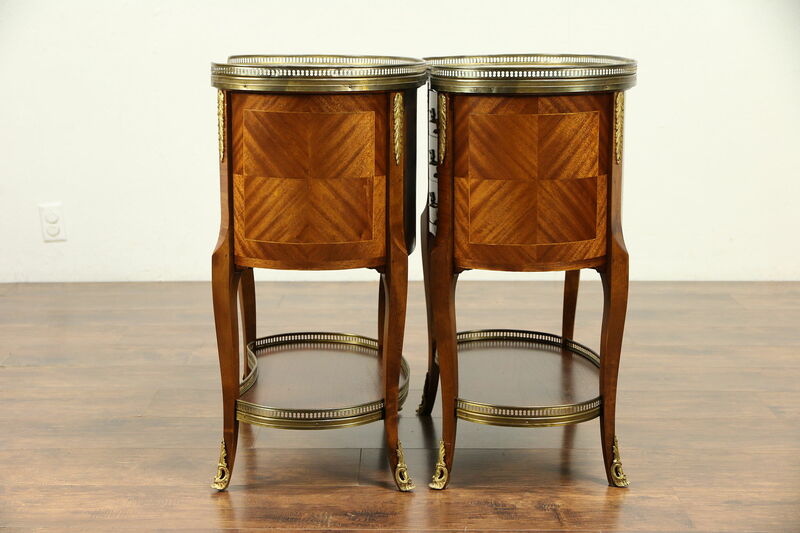 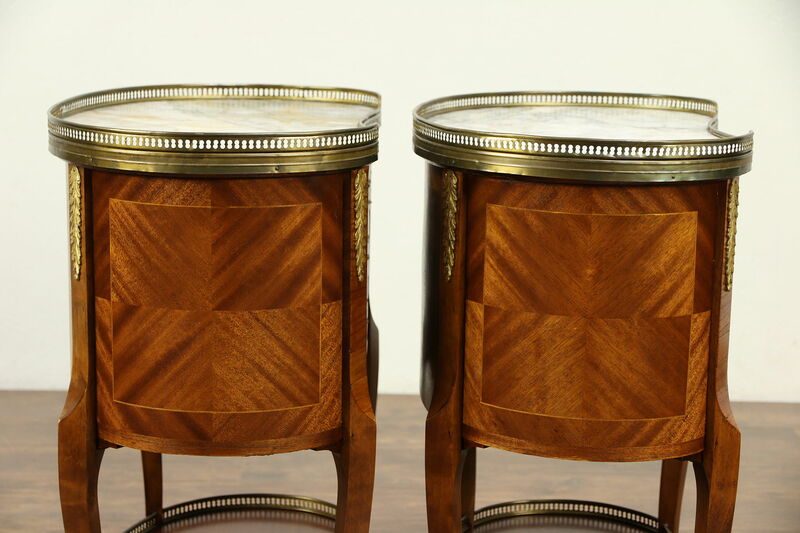 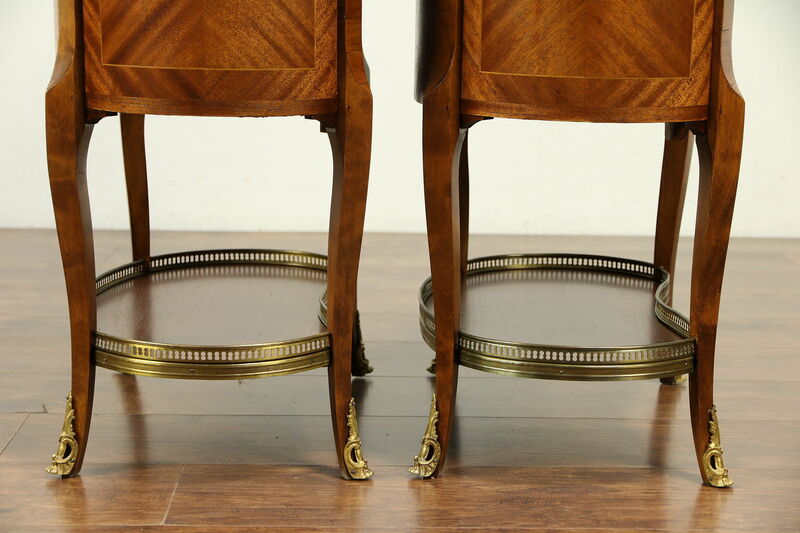 An elegant pair of kidney shape end tables or nightstands were hand crafted in Italy about 1930 of mahogany with inlaid satinwood banding. 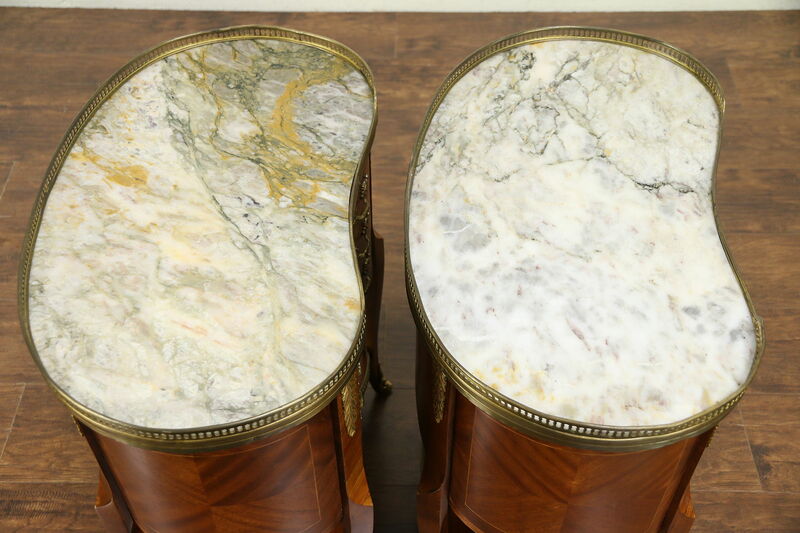 Embossed brass mounts, pulls and galleries plus the marble tops are original. 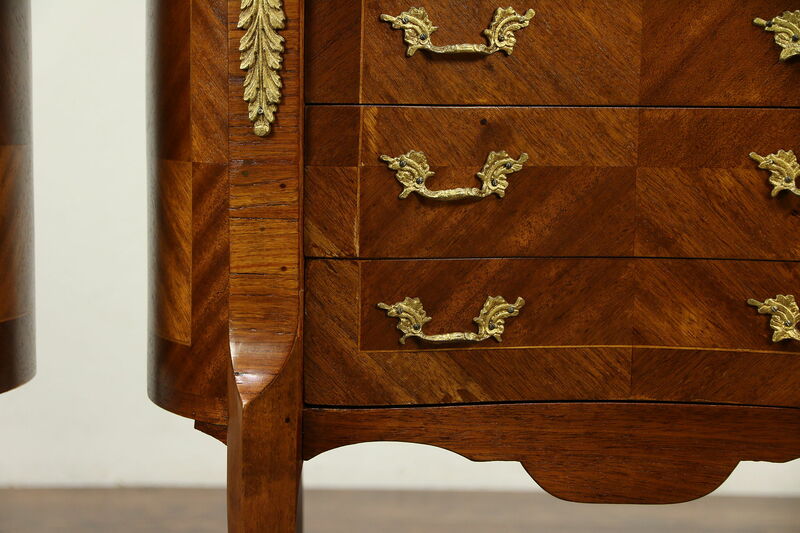 There are minor irregularities to the galleries, see photos. 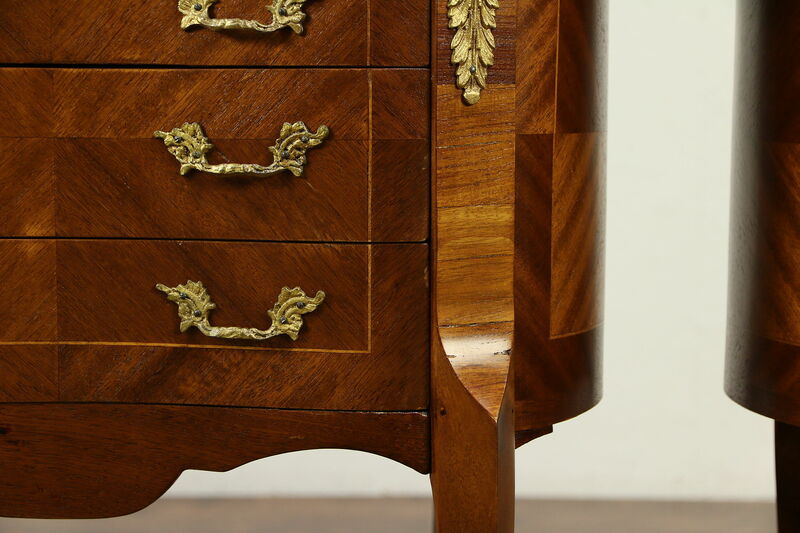 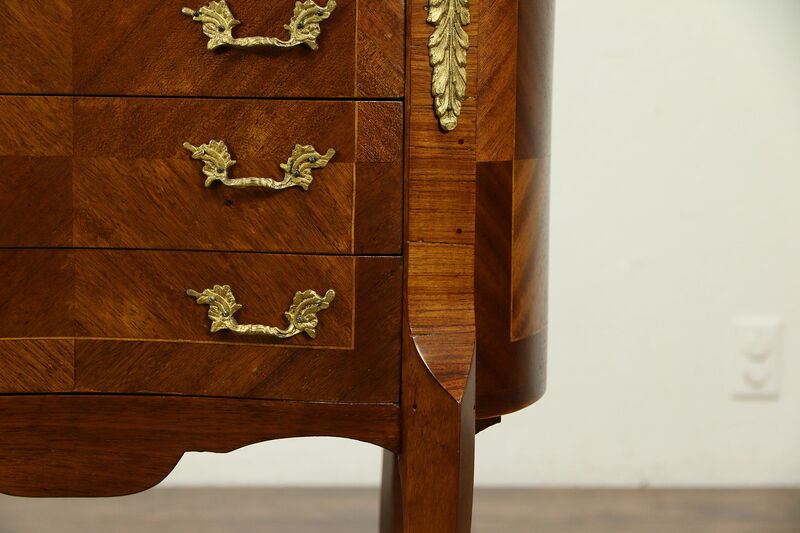 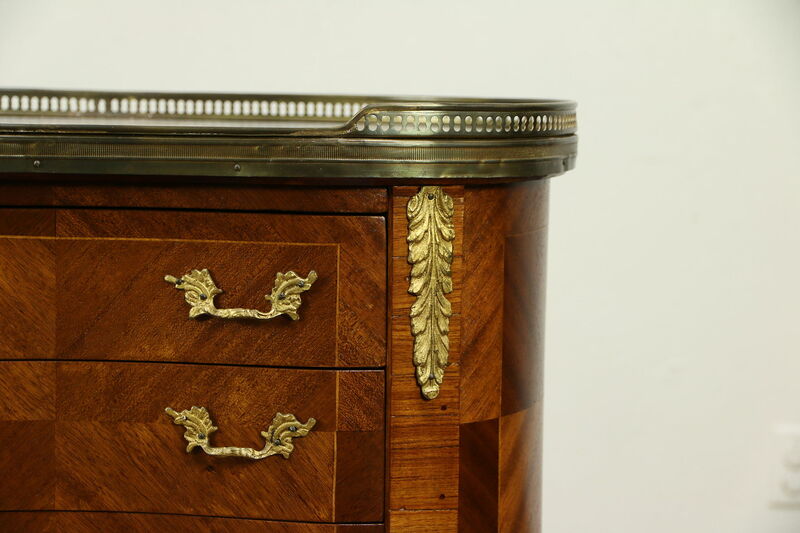 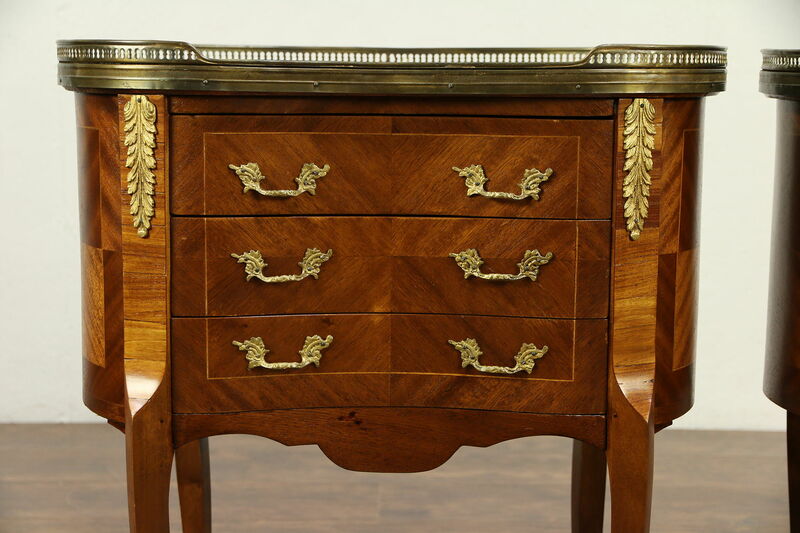 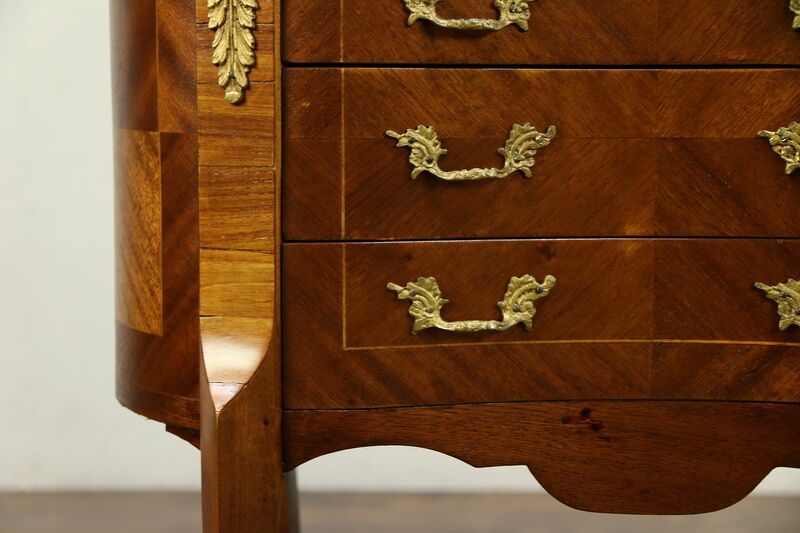 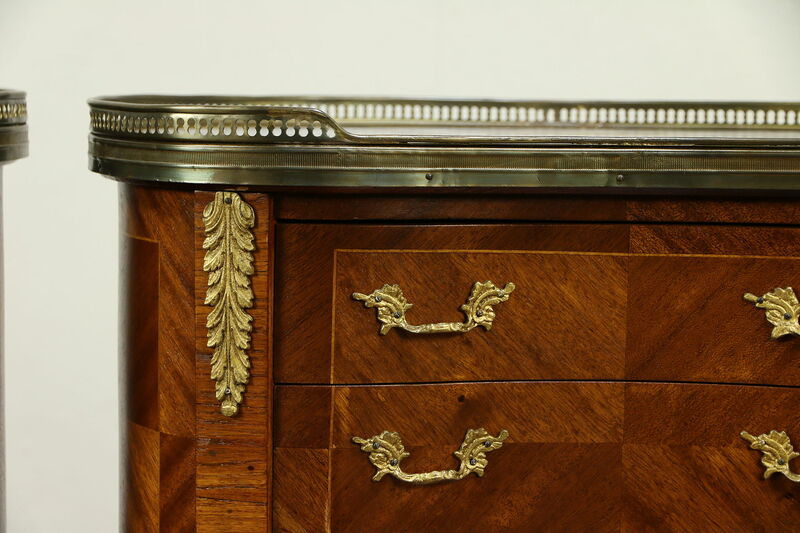 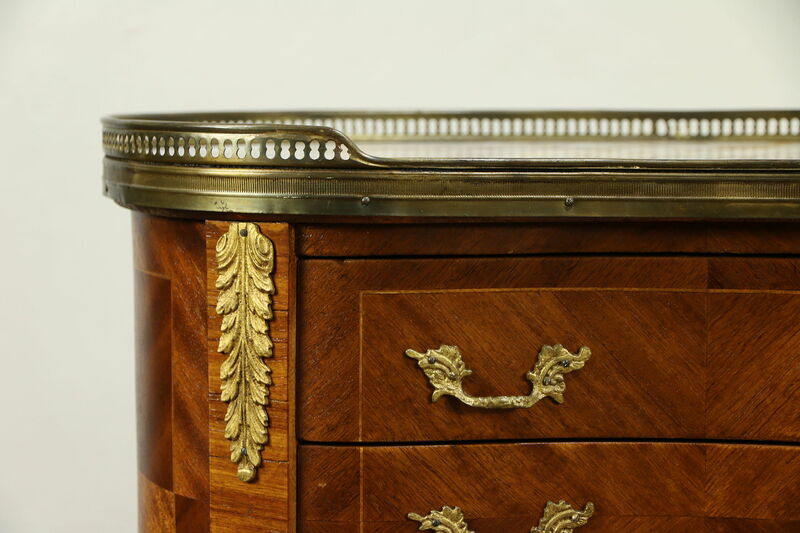 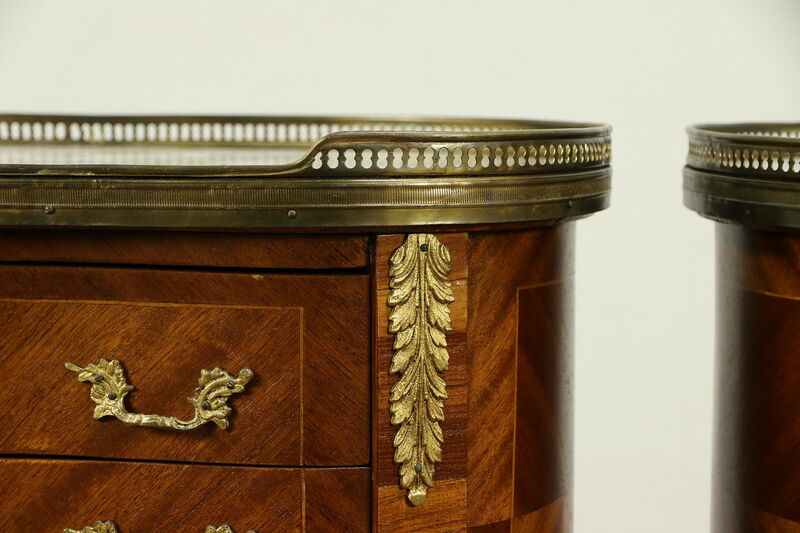 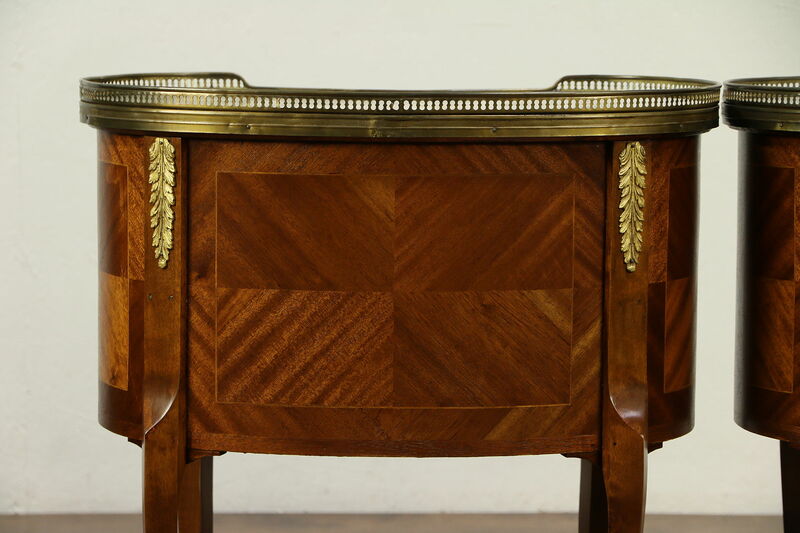 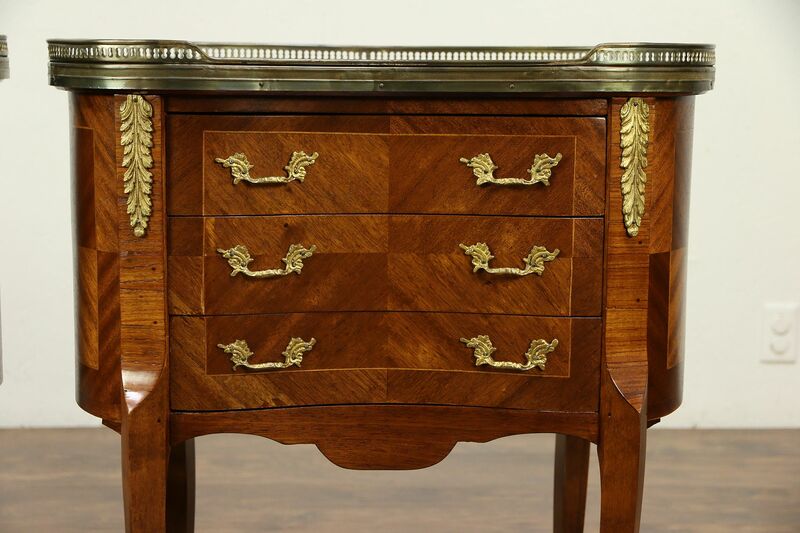 The restored finish is in excellent condition on this vintage furniture, preserving just enough touchups and shrinkage separations from age for a little antique character. 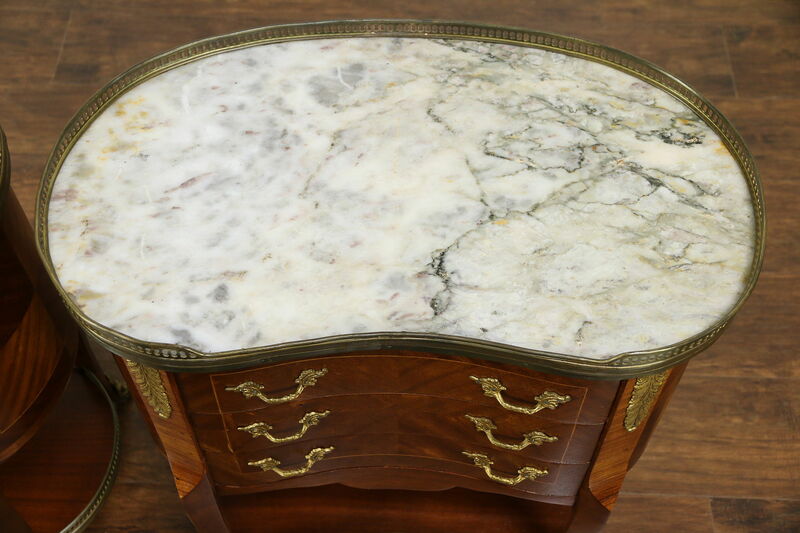 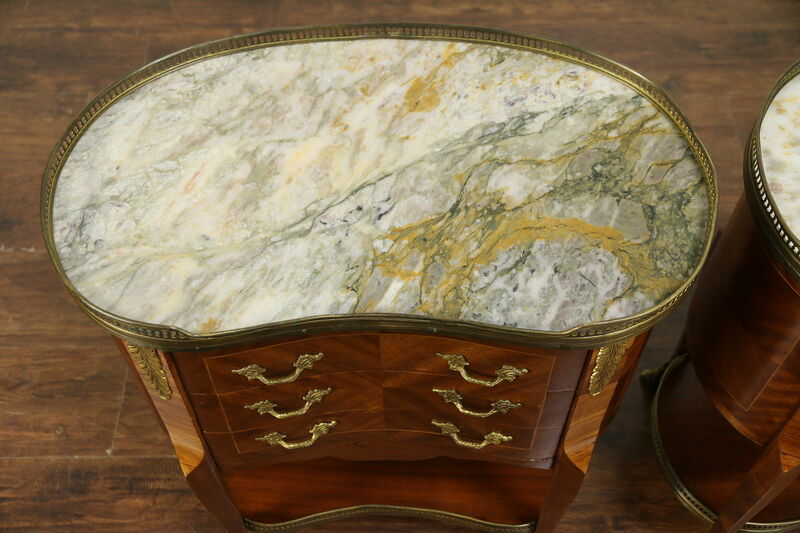 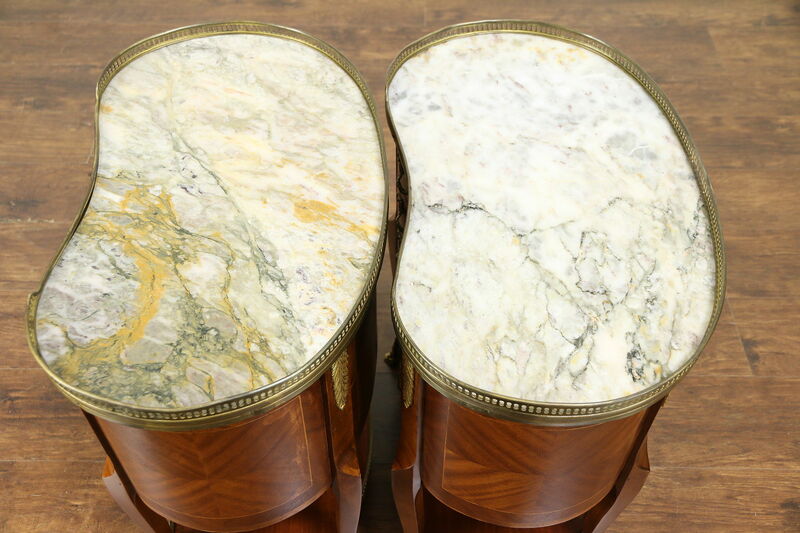 Marble tops have been polished and given a low luster protective finish. 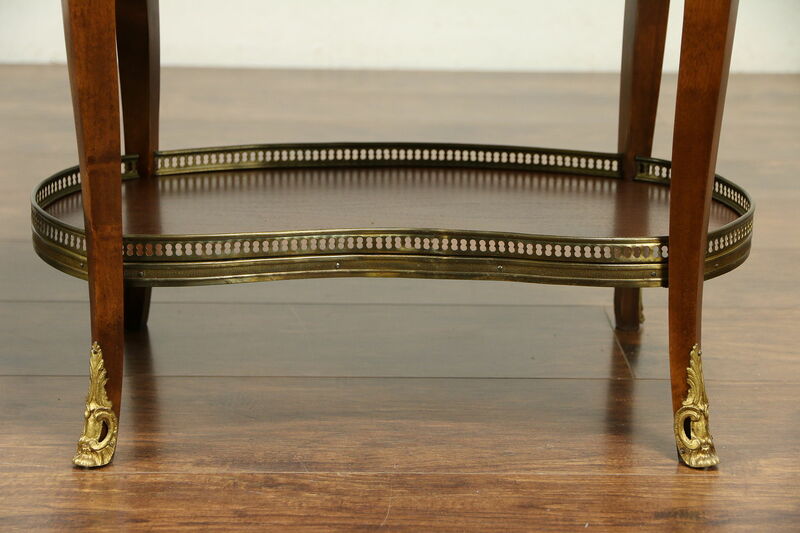 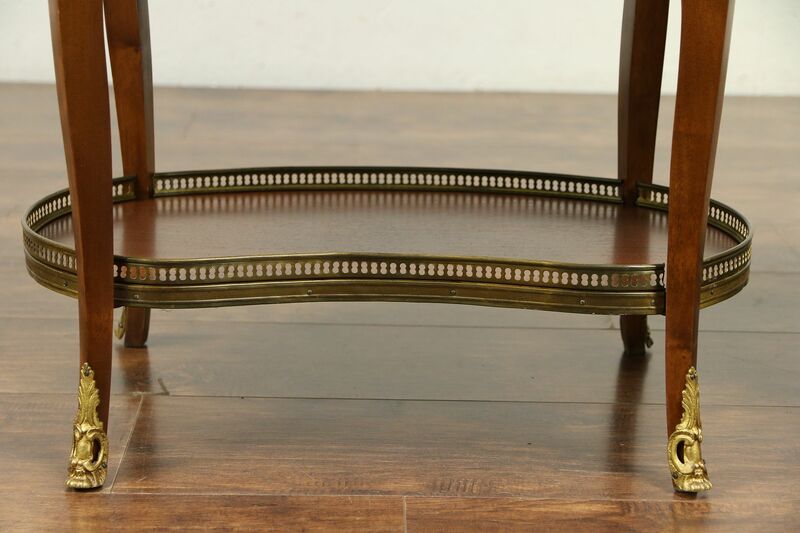 Size is 24" wide, 15" deep and 29" tall.